1. Based on 2019 EPA ratings. Use for comparison only. Your driving range and mileage will vary depending on how you drive and maintain your vehicle, driving conditions, powertrain age/condition, and other factors. 2. Total due at lease signing is $2,878 plus tax and registration, and includes first month’s payment and capitalized cost reduction of $2,499. Includes down payment with no security deposit. Excludes taxes, registration, and license and dealer fees. For well qualified lessees. 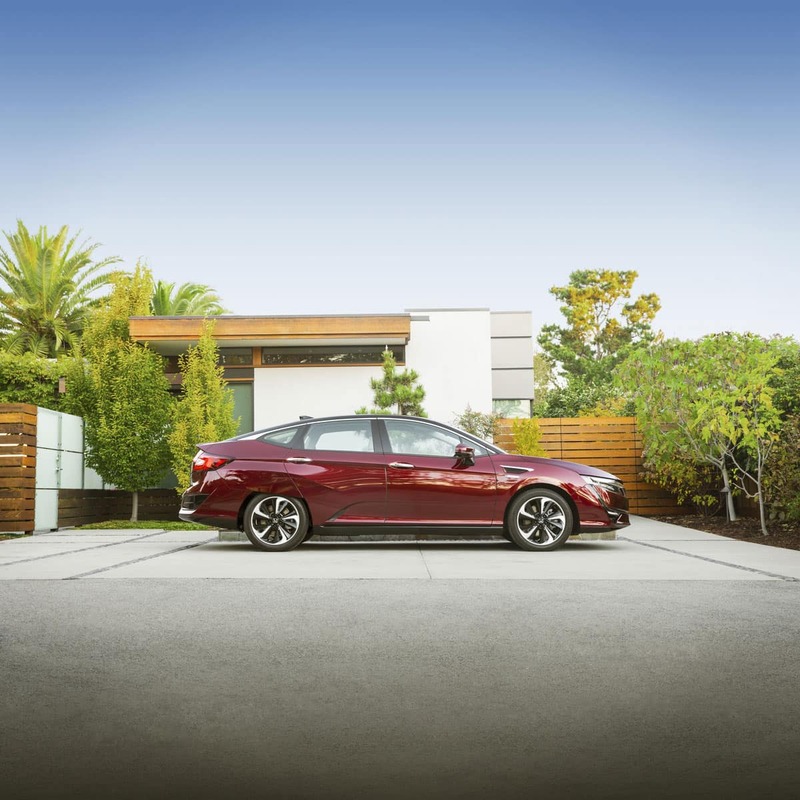 Subject to availability to California residents on approved credit through Honda Financial Services. Closed end lease for 2019 Honda Clarity Fuel Cell for well qualified lessees. Not all applicants will qualify. No purchase option at lease end. Total monthly payments $13,644. Lessee responsible for maintenance, excessive wear/tear, and 20 cents per mile over 20,000 miles per year. Offer ends March 31, 2020 or until supplies last. Please see your authorized Honda Clarity dealer for complete details. Accessories sold separately. 3. Lease includes Roadside Assistance, up to $15,000 of hydrogen fuel, and up to 21 days Avis Group H luxury rental car (rental must initiate and end California).